Water Pro has been providing reverse osmosis, water softening and water conditioning since 1992. We are a family owned and operated company with the experience and expertise to solve any water issues. From top quality drinking water, to soft water, to whole house water conditioning, we have you covered. Reverse Osmosis drinking water that is purer than bottled water. Automatic Softeners that prevent water deposits on faucets, dishes, clothes, hair, and literally everything that water comes in contact with. Whole house water conditioners that remove chlorine and purify the water to the whole house. How does it work? Tap water is filtered through the 5 stage reverse osmosis system to purify the tap water. 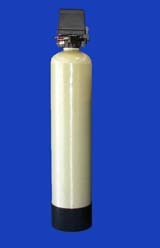 After the tap water has been filter it then goes through the sixth filter which is the highest quality alkaline filter on the market. The minerals are added back into the water to provide you with the essential minerals your body needs. Water Pro offers reverse osmosis drinking water systems, water softeners and whole house water conditioners to improve the water in your life. Reverse osmosis can vastly improve the quality of your drinking water. A filtration system typically removes 95% of the impurities from city water. When considering that your water may have anything from lead to hormones in it, cleaner water is definitely desirable. The definition of drinking water according to Wikipedia is “water safe enough to be consumed by humans or used with low risk of immediate or long term harm.” With filtered water you remove the risk of long term harm. 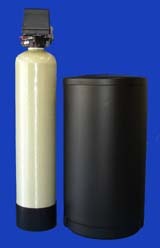 Softeners convert hard water into soften water to eliminate the calcium build up in your home. Not to mention saving you time in cleaning the hard water deposits you see around your faucets and any where else water has come in contact in your home. Those same deposits accumulate inside your appliances making it harder for your appliances to work which cuts their life. If you can get the full life expediency from your appliances you help to save the land fill from your discarded appliances. Not to mention having cleaner, soft, fluffy towels and for anyone with long hair the ease of combing your wet hair easily after your shower. Call Water Pro today (805) 647-3365. Water Pro serves: Ventura, Camarillo, Oak View, Santa Paula, Port Hueneme, Oxnard, Ojai.